The club was opened in 1958 by 12 founding members: John Bain, Brian Bolger, Mick Dinon, Ross Fleming, Bryan Graham, Don Grotto, Gordon Gregory, Harry Letton, Stan Morgan, Richard Pedler, Bill Simmons and Ted Smith. The current President is Damien Curtis, who has been President since August 2017. Since 2011 the club has increased in membership from 30, to 95 active members, including a large contingent of junior members. Shooting events are programmed to enable shooters to participate during the week and on weekends, for a wide variety of shooters and disciplines. The club also has a well represented archery range, which holds regular fortnightly events, as well as field archery. The Port Lincoln Club is always encouraging new members to join. They hold numerous open days for the general public and invite various community groups to attend, such as the Lions and Rotary Clubs. Service pistol, IPSC, Steel Challenge, Archery, Big Game Rifle, centrefire pistol, standard pistol, sport pistol, air pistol, large pistol silhouette, .22 rifle silhouette and .22 3P rifle events are practiced and contested at the range. All the ranges at the club have recently been upgraded to satisfy the SA Police Firearms Branch, including baffling of the sheds and raising of the back stops. The club has hosted many events during the years, including the Mini Master’s Games in 2001, the 2015 and 2016 Steel Challenge State Titles, and State Team Selection matches for IPSC. 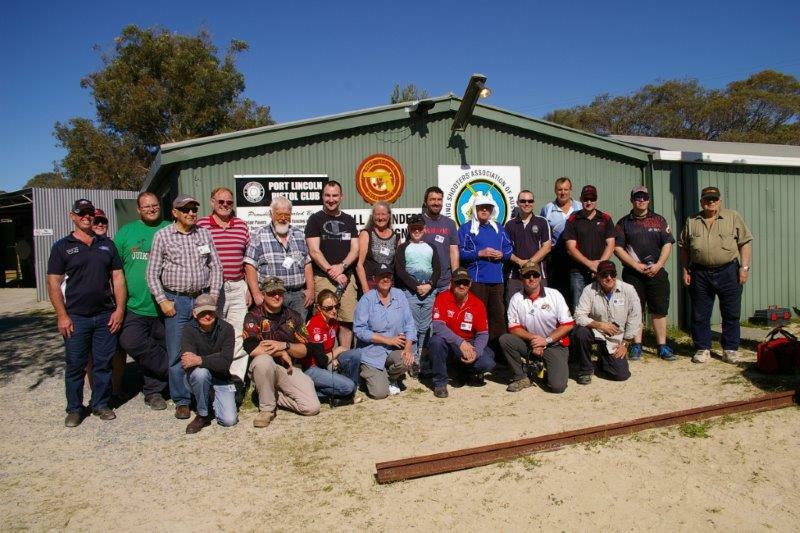 The club is utilised by the police and the security industry for training, and TAFE students use the club for the practical test for receiving their gun licence. The Club encourages anyone who is interested in having a go, to come out and have a shot. Club guns are available for hire for programmed shoots, under direct supervision of qualified range officers.